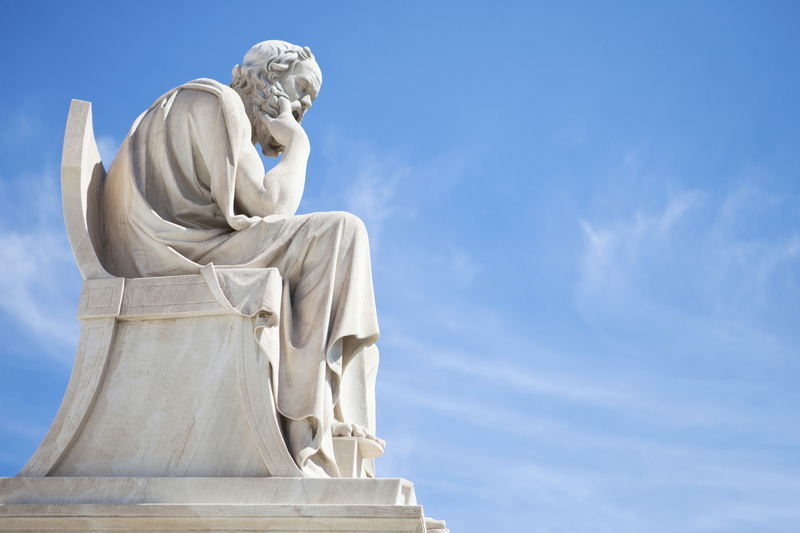 Socrates Helps Us Answer the Question: Can Emissivity Be Measured in Real Time? 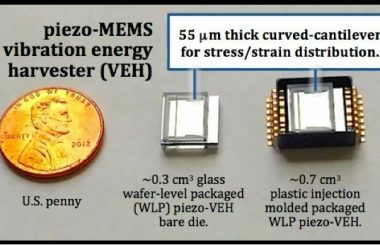 In a previous post by my colleague Simon Wheeler, we discussed that if you’re not careful, emissivity could become a pyrometer’s “Achilles heel.” Pyrometers work well under a variety of conditions, but one challenge in using them is measuring when a material’s reflectance or emissivity is changing during processing. This can affect the entire measurement. In an attempt to solve this problem, so-called “two-color” pyrometers were introduced awhile back. They employ two wavelengths (or “colors”) instead of just one. The thinking here is that by measuring a material using two adjacent wavelengths and using the ratio between these two wavelengths to calculate the final temperature, it’s possible to make the pyrometer immune from changing emissivity. It’s a big ask, based on some critical assumptions. But as many of you already may know, it unfortunately doesn’t always work as intended. Using the story of Achilles, from our previous blog post, as a guide, at about the same time in history, the thinker Socrates established the Socratic Method, a methodology for critical thinking based on questioning. Rather than relying on assumptions, Socrates suggested you ask thoughtful and critical questions to reach the right conclusion. There’s even a lesson for optical pyrometers: rather than making assumptions and relying on two-color ratio pyrometers to be immune from changing emissivity, we designed a pyrometer to collect more information directly about changing emissivity. In this case we’re “asking” the sample to understand if its emissivity is changing, through use of an active reflectance measurement, and if it is changing, we’re able to correct the temperature in real-time. This method ensures accurate temperature measurement regardless of changing emissivity conditions. Advanced Energy recently posed this question: Instead of settling for an average, what if we could analyze emissivity in real-time, even under varying conditions, so that the pyrometer can measure temperature accurately even when the emissivity is changing? Even though Socrates wasn’t the source of this question, I’d like to believe that he would agree. Advanced Energy’s Onyx Series of pyrometers includes optical temperature measurement solutions that include two-color measurement as well as active-emissivity compensation solutions. 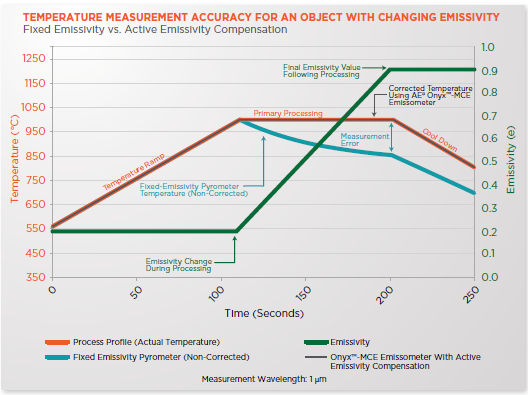 Active-emissivity compensation not only provides accurate temperature correction but is also able to report the exact change in reflectance (and corresponding emissivity, E=1-R) as a substrate is processed. Take a look at the chart I’ve included, which reflects a typical annealing or heat-treatment application. Your process will probably look different, but the basics apply: there is a warm-up phase, a main processing or “soak” phase, typically followed by cool-down. In this example we also know that the material’s emissivity is changing, maybe through the deposition of a film or oxidation that may be occurring to material’s surface. In either case this isn’t good, and it affects the final temperature measurement. The chart shows temperature measurement with changing emissivity. You’ll see that the emissivity starts changing at about 110 seconds into the process. 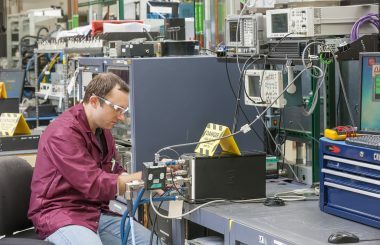 Shortly thereafter, a pyrometer using fixed emissivity will begin to report the wrong temperature; the changing emissivity during this process is introducing error into the measurement. By the end of this process, the pyrometer is incorrectly reporting a temperature almost 150C lower than the actual temperature. The change in emissivity has created huge error into this measurement. A pyrometer with active emissivity, such as AE’s Onyx-MCE, precisely measures throughout the process – and enables accurate temperature during the primary and cool down stages. Even with changing emissivity, the pyrometer remains accurate, as the chart above demonstrates. This can be critical for some applications and can make a difference in product quality and throughput. Next question: Is active compensation always the right answer? In many cases it’s always better to know a material’s true emissivity rather than making assumptions, but there are situations where two-color pyrometers continue to provide a good solution. For example, when there is something physically intervening in the view path between the pyrometer and the material, such as steam, smoke, particulate, or some type of contaminate on a window viewport. At no time can a two-color ratio pyrometer actually report the emissivity of the material; it is only trying to measure despite any suspected emissivity errors caused by these outside influences. 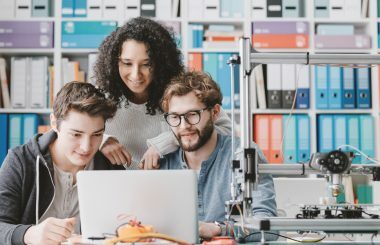 By comparison, active-emissivity compensation not only provides accurate temperature correction, but it also delivers more information about the substrate. The true emissivity value is also being reported at all times, which can open visibility into a process. For instance, a specific change in emissivity can be used to determine the progress of a thermal deposition process or be used for “end-pointing” where it’s possible to determine completion of a process. Because a two-color ratio pyrometer is passive, it can never report any specific information about the surface of the substrate. A question we get asked a lot is when to use two-color vs. active-emissivity systems. In a future blog, I’ll explain more about the functionality of a two-color pyrometer, their “Achilles heel” and things to watch out for. In the meantime, give me a shout with any questions. As a supplier of both two-color and active-emissivity pyrometers, we’re ready to discuss your process, the challenges you are up against in your processes and what we can do to better help you better understand and control them.